Well, it’s been quite a year, hasn’t it?I don’t know about you, but I’m ready to put 2017 behind me. Before we rush off into all the glory that 2018 is sure to bring, I’d like to pause and reflect on some key trends we saw in the last year, and share some thoughts on where we’re headed. The world is changing fast and the community space has seen more change in the last year than I’ve seen in my entire career. While some of this post might read as negative, you should know that I’m excited. During every revolution throughout history, society shifts suddenly and our social systems have to catch up. In the agricultural revolution, we went from small nomadic groups to larger static nations. In the industrial revolution, we could suddenly travel the world, communicate across oceans instantly and our cities grew rapidly. In every revolution, our social fabric is broken down and rebuilt. That’s what’s happening now in the digital revolution. Our systems of communication and collaboration shifted rapidly, and we’re rebuilding our social fabric in this new context. Alright, let’s dive in. Here are the four key trends we saw in the community industry in 2017, and some predictions (my opinions) for 2018. I became passionate about building community because of my own struggles with loneliness as a kid. Where I struggled in the real world, I turned to digital tools to find a sense of belonging as I was growing up. My social experience comprised of online games, journaling communities and IRC, before the modern day concept of social media was widely accepted. I remember the condescending comments I’d get from my peers when I told them I spend a lot of time connecting with people on the internet. Fast forward to today and everyone is on board, or at least a modest 1/4 of humanity. The internet has grown to become the leading source of human connection. Unfortunately, in 2017, it became clear that the kind of connection we get online is quite different from the deeper connection humans need. Our technology may actually be a leading cause of what’s being called a “loneliness epidemic”, by the Harvard Business Review. 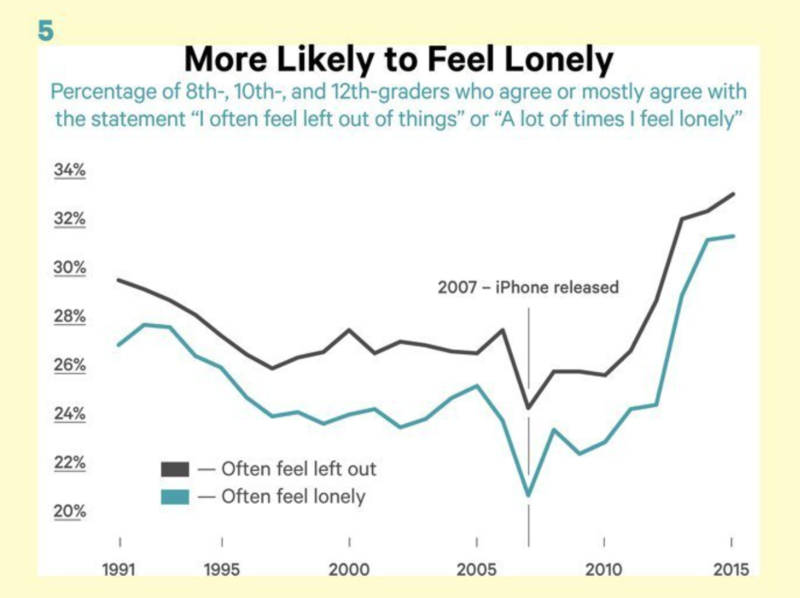 Just recently, The Atlantic shared some data that shows that since the widespread adoption of the smartphone, loneliness and depression rates amongst teens have been in a steep incline. 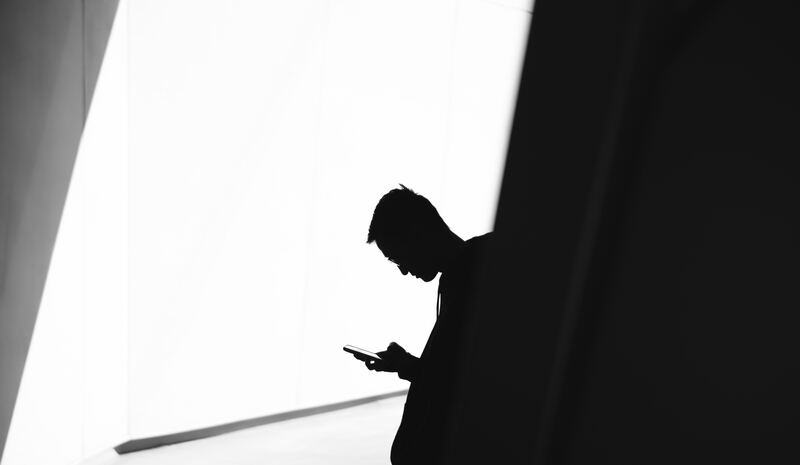 The problem is bad enough that the American Psychological Association published a paper this year calling for social connection to become a public health priority in the United States. As a result, people are starting to pay closer attention to how they use technology. There’s an increased focus on unplugging, turning off notifications, and taking back control from the technology dictating our lives. I think this will develop into a major tech and social media backlash amongst adults in 2018. This will be the biggest trend fueling the community industry over the next year. People need community now more than ever. Not just shallow connection, but real, meaningful community. I think this further fuels the trend Forrester called the “End of Advertising As We Know It” as consumers are now seeking deeper relationships with brands. People will seek our smaller groups and more intimate forms of community. And with that, the demand for professionals who know how to build community is only going to grow. In 2017, we saw a major shift in the media landscape with the growth of membership models. This had to happen, with advertising failing as a sustainable model, social media changing how people consume information and the growth of misinformation, recent history hasn’t seen such a strong demand for quality content. This has led to a lot of media companies launching membership models, to bring in sustainable revenue and give their readers a more communal experience around the content they create. Patreon, despite their recent community hiccup, has shown that membership can be a powerful model for creators. The Guardian now makes more money in membership than they do in advertising. Medium, needing to drive revenue, made the tough decision to commit to a membership model, rather than going down the road previously traveled of opening up to advertisers. Hundreds of organizations have now launched membership models, many of which you can track in The Membership Puzzle’s database. I think we’ll see more companies, even outside of media, build out membership programs in 2018. Instead of “customers”, you’ll see more and more companies refer to their “members”. It can be an incredible business move both by creating repeatable revenue and building a more engaging, community-driven experience for the people who use their products. The community technology space is in a phase of renewal. We’re seeing a lot of the long-standing leaders consolidate. Their high price point is becoming harder to maintain with new platforms being developed that feel fresh, and are being offered at a fraction of the costs. As a result there’s been a lot of shuffling of products, acquisitions, new money raised and new players in the market. In the last year, Higher Logic acquired Socious, Lithium was aquired by Vista Equity Partners, Jive was acquired by Aurea Capital, and Lithium then acquired Jive-X. Mobilize and Mighty Networks, two newer platforms, each raised Series A rounds in 2016 and have been growing in the market. We’ve seen a new crop of distributed offline event platforms like Bevy, Splash and Meetup Pro crop up. A lot of change, which is a good thing. Meanwhile, in 2017, we saw the major social platforms placing a new focus on community. This last year alone, Facebook (a CMX client) changed their mission statement for the first time ever, and have been releasing new features for Facebook Groups like wild. YouTube released a new suite of community tools for creators. Kickstarter launched an entire platform called Drip specifically to help creators develop communities around their products. Not enough happening? Well to top off the year we saw WeWork acquire Meetup. Who knows what their plan is there. Some think it’s just a marketing play. Some think there are great opportunities to integrate the world’s biggest network of event spaces with the world’s largest community of events. Either way, “community” is at the heart of this announcement. So there’s clearly a lot happening, and I think we’re going to see even bigger shifts in 2018. The shift I mentioned in trend #1 is going to fuel new forms of technology, as people seek more intimate forms of community, and shy away from large social platforms. We’re also going to see more specialized tools being launched that tackles specific community building needs that the one-stop shop platforms can’t do as well. To be sure, there’s still a lot of uncertainty in the space. Our 2017 research showed that only 40% of companies had metrics in place within 6 months of launching a community. That’s a big problem. We just still don’t know exactly where community fits in business and how to prove our worth. Some companies have community as its own department. Some have it living under marketing, or support. No one really knows what to do because community is a new role, and a completely different way of doing business. It’s been difficult to define. But we’re getting better. We are. I’ve seen a lot of maturation in the work professional community builders are doing. I see it in the questions community professionals are asking, in the way they’re holding themselves accountable and in the kinds of roles they’re taking on. We’re making headway and holding ourselves to a higher standard. To move forward in 2018, businesses and community professionals will need to meet in the middle. Community professionals will have to get better at measurement and data-driven decision making. It’s only with the clarity of numbers that they’ll be able to speak to their work with confidence and get the buy-in they need to succeed in the business world. On the other side, business leaders will have to learn that to succeed in today’s market, they need to take the long, community-centric view in developing relationships with their customers. They’ll have to make purpose and culture a priority. They’ll to have faith that investing in community will create long-term value, even if the metrics don’t show have a direct line to profit (yet). 2018 is going to be a year of fast maturation for professional community builders. We’re ready to take things to another level. What’s next for CMX in 2018? With the community space evolving, so too must CMX. We’re at the four-year mark since hosting the first CMX Summit at the start of 2014. That’s a lifetime in startup years, and what started as just a few hundred people in a room has turned into an incredible global network of 20,000 community professionals across CMX channels. That’s why in the past few months decided to take a step back. We stopped almost all content and marketing in order to realign and ensure we’re serving community professionals, serving you, in the best way possible. The CMX mission has always been to help community professionals thrive, but we’ve been too reliant on sponsorship dollars to fully lean into that mission. We’re deeply grateful for our sponsors and will continue to do great work with them. At the same time, by launching CMX Pro, we aligned the success of CMX as a business with the success of the CMX Community. We can now invest heavily in helping community professionals do exceptional work and grow rapidly in their professional careers. Since launching, 130 businesses have already become members of CMX Pro, and the community is growing consistently and purposefully. Everyone in the community applies to join and must be professionally building community in order to join, and the community is private. This has created the space for deeper, more open discussions that hasn’t been available to community professionals before. We’re already providing Pro members with things like exclusive expert calls, strategic frameworks, and benefits. CMX Pro is our top priority for 2018 and we will consistently explore new ways to bring our members the most value possible. CMX Summit 2017 was by far our highest rated conference to date. This was a direct result of the hard work of our‎ Director of Product Strategy and Community Experience, Erica Mcgillivray, an increased budget and some big swings we took to reinvent our event experience. It worked, and our attendees rated this conference higher than ever before. Next year we will be building on this new foundation and continue to experiment and iterate, with the goal of bringing the community industry the world-class conference it deserves. Inside tip: CMX Pro members will get first dibs on pre-sale tickets for this year’s events. After four years in business, there are a lot of things that you do just because it’s what you’ve always done. CMX is due for a refresh. We’re rethinking everything we do: our training, newsletter, articles, research, case studies…everything. We’re adjusting to the needs of the industry and you can expect us to be iterating on all the content we create to help you succeed in your work building communities. Our goal is the be a brand of incredible quality and credibility in the community space, with the intention of passing on that reputation of quality and credibility to the community professionals doing the work. I’m incredibly excited for this year. You all inspire us every day with your dedication to building community and making this world a little less lonely. Together we’ll make 2018 the year the community professional takes a seat at the table.